There are two places in America where trash has been tumbled into amazing amounts of treasures by pounding waves. 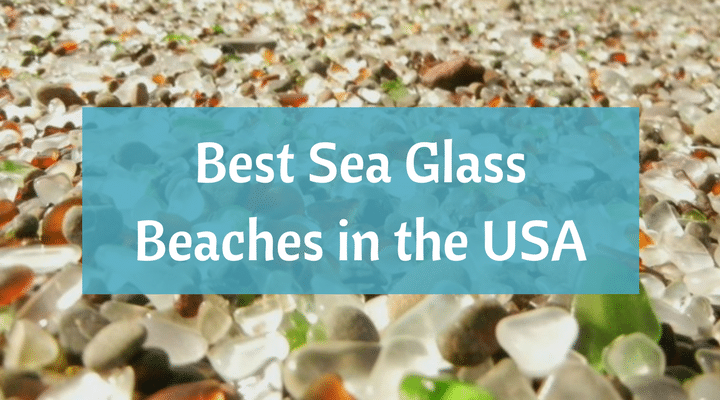 It’s safe to say, these places are the most famous sea glass beaches in the United States! 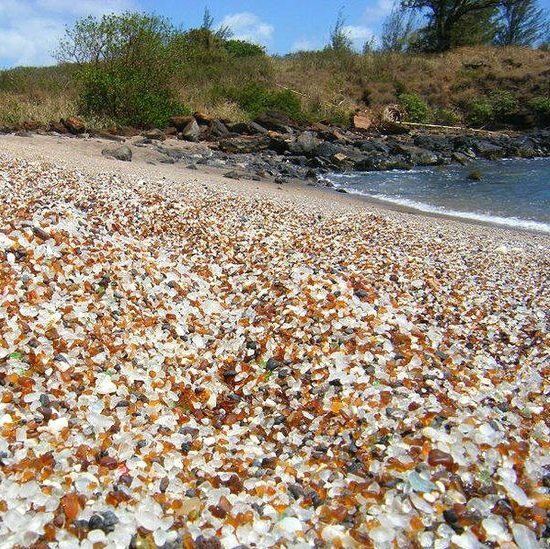 Although we will be highlighting only two beaches, you can find a list of the top sea glass beaches below. If you’re interested in checking out the beaches that are the longest you can read our guide for those here. 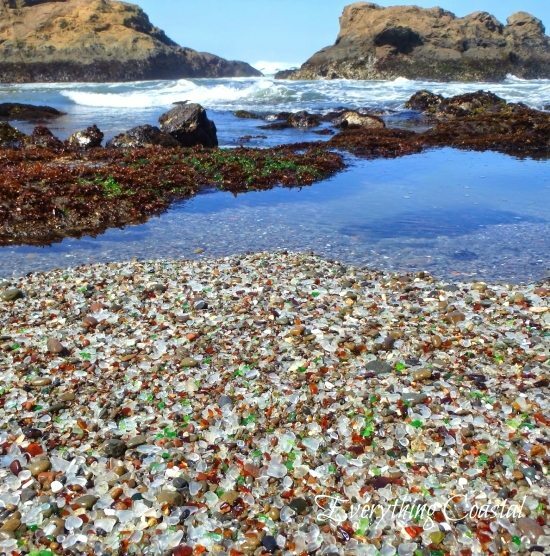 Glass Beach in Fort Bragg, CA, and Sea Glass Beach in Hawaii! Although it has to be said that their claim to fame comes with a price. 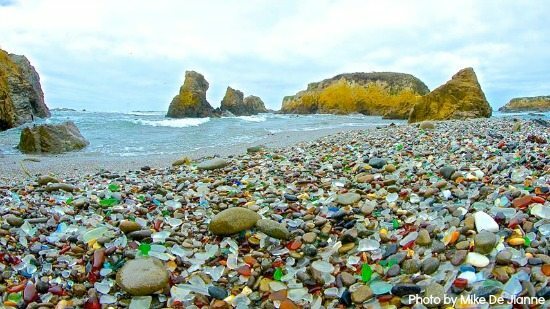 At this point in time these sea glass beaches have been raked over and quantities are less abundant. Collecting buckets full of sea glass is highly discouraged, if not prohibited. 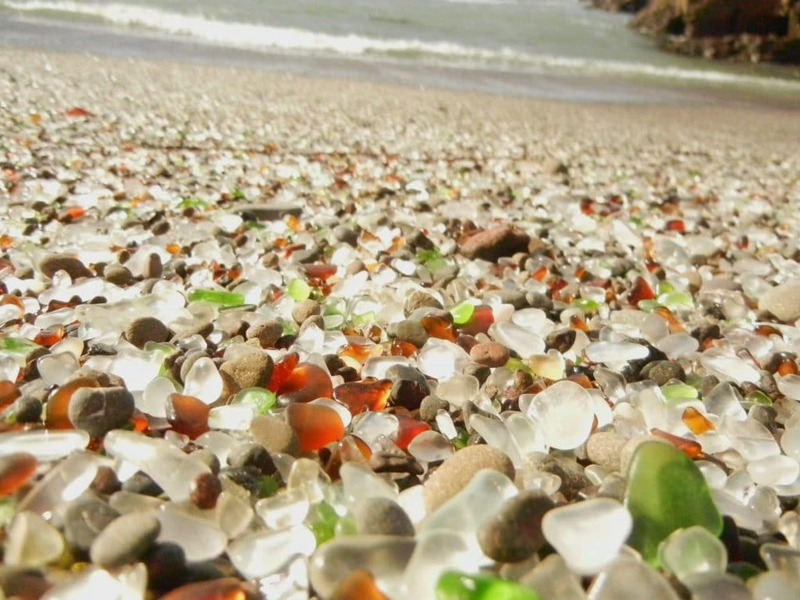 But these sea glass beaches are still amazing! Photo of Glass Beach in California by Floris van Breugel of Art in Nature Photography (can be purchased). 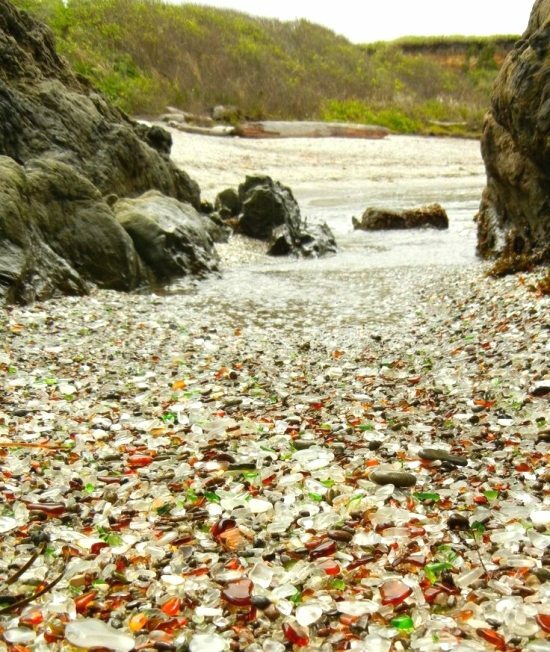 Forth Bragg sea glass beach is located in Northern California a few hours north of San Francisco. 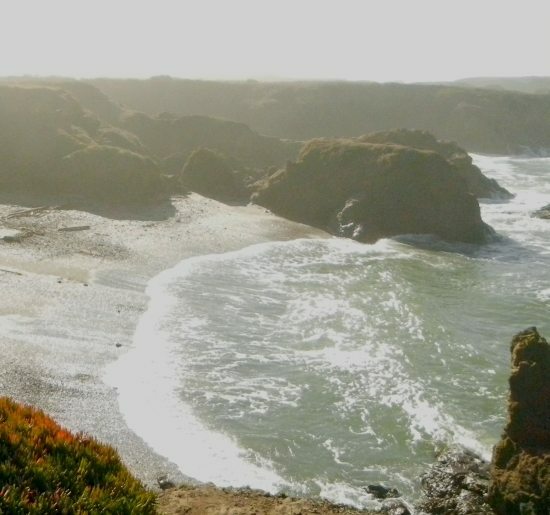 For many years, up until 1967, the city of Fort Bragg dumped trash over the bluffs right onto its beaches in three places. The discarded glass eventually was transformed into small, smooth, colored gems. The pieces you’ll find are mostly clear, brown and green. 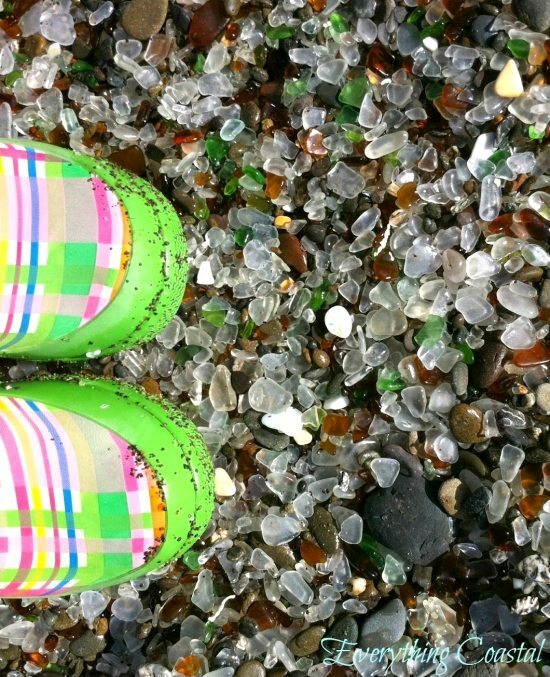 Go after a storm, and you might score some rare sea glass colors! 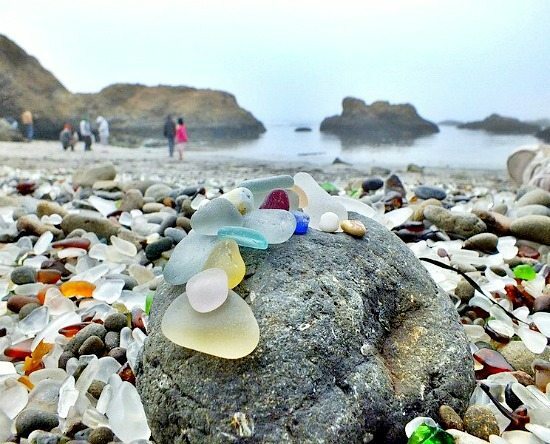 There are three main glass beaches in Fort Bragg. Two are accessible by foot, and the third is accessible through the water by boat or kayak. To read and sea more, visit Find Sea Glass, and for direction to Fort Bragg sea glass beaches, click here. 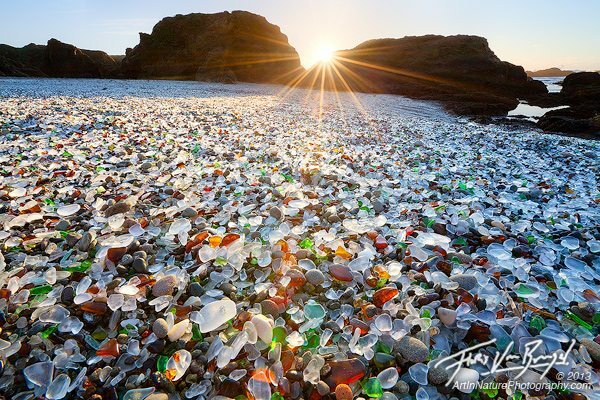 Gorgeous photo of glass beach by Mike De Jianne via Facebook. Beautiful smooth ocean tumbled sea glass. Original source unknown. What you’ll find on this beach are mostly little pieces. Tons of little pieces -brown, aqua-colored, clear and blue! The glass originates from broken bottles and auto glass dumped here years ago. The beach isn’t mentioned in most guidebooks, and there are no signs directing drivers to it. To get there, you take the Port Allen exit off the highway, then turn down a street past some warehouses, then follow a very rutted dirt road to the water. To learn more, visit To Hawaii. I thought you might also enjoy a view tips about finding sea glass in general. So here goes. Beaches with stones and rocks are best. Research a beach that’s located near an off-shore dump from decades ago. Beaches near old factories, Colonial-era settlements, or shipwrecks. Locations of wharves are also great spots, as broken glass would often be thrown right off the boat and into the ocean as the ship was docked. Best time to look for sea glass is after a storm or during a full moon, when strong tides can stir up buried treasures. And “the” book for sea glass lovers! LaMotte’s Pure Sea Glass. Besides having beautiful sea glass photos by Celia Pearson, the book has comprehensive information about the origins and colors of sea glass. This would be heaven! And to think I am thrilled when I fine ONE piece of beach glass!! 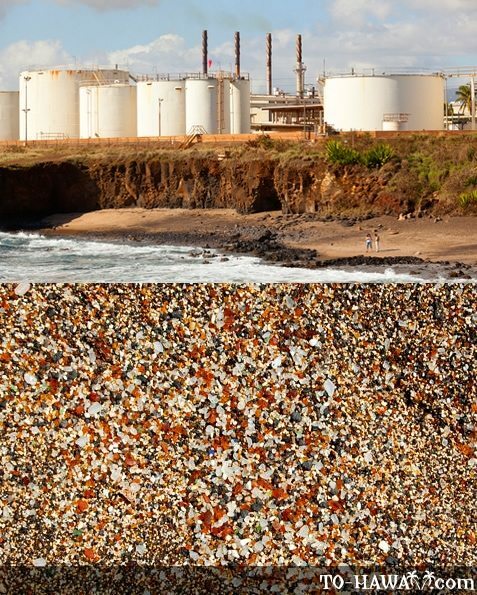 We visited the Kauai glass beach and it looked just like the photos. One year later, it was picked clean. The beach is mentioned in a popular guide book and the masses have found it. So, it’s bittersweet to let people take the glass. Wow. I never knew about the one in Hawaii. One day I hope to visit both beaches.